The lack of good venues in Toronto has always been an issue but one constant throughout literally the history of the city has prevailed. 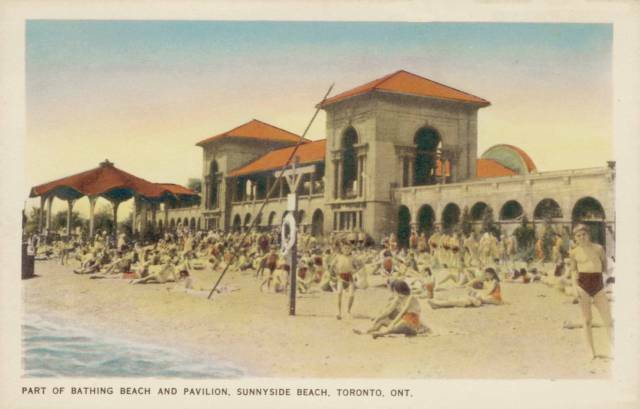 Sunnyside Pavilion along the west end of Toronto's lakeshore is undoubtably the most attractive outdoor venue today, and between the 1920's and 1950's, the space was the heart of the Sunnyside Amusement Park. Entertainment is still the number one focus only now it comes down to a few promotion and event companies to provide for the city's dance music faithful. Luckily, Richard Brooks and Captive Audience, along with partners including Houseaddict and more are offering one last summer sendoff this Saturday featuring Spain's Dennis Cruz, alongside City Kid Soul, Mike Gibbs, Sean Roman and Richard himself. A Toronto summertime staple for any serious partier, the Sunnyside Sessions have continued to bring Toronto house and techno under the setting sun for years now.